JVP Communications was founded on the simple premise of helping both large companies and small business owners generate results through effective communications efforts that are executed with passion, honesty and integrity. These values, along with a strong work ethic and dedication to collaboration and success are what drive JVP Communications' efforts. We're committed to working collaboratively with our clients to develop communications plans and outreach strategies that align with each client's business goals and deliver tangible results. ​JVP Communications has worked with The Ritz-Carlton, Lake Tahoe, Snow Park Technologies, Warren Miller Entertainment and other established brands. Current clients include Homewood Mountain Resort, Inn Town Campground, Liv Cycling, Mt. Rose Ski Tahoe, Sugar Bowl Resort, Squaw Valley | Alpine Meadows, Tahoe City Downtown Association, Tahoe Fund, Tahoe Star Tours and Visit Truckee. Jess is a strategic, inclusive leader with experiencing managing and collaborating with high-performing teams. She has a strong ability to develop and execute PR campaigns, build relationships with various stakeholders, and identify interesting storylines. With over 19 years of corporate and agency PR experience in the consumer technology, ski, winter action sports, hospitality and travel industries, Jess is experienced at creating and executing high-impact communications programs both with and without significant budgetary resources. She also has extensive experience managing programs and collaborating with outside agency partners to achieve and exceed a company’s business and marketing objectives. Prior to starting JVP Communications in May 2013, Jess held communications positions for brands including Vail Resorts (Northstar California Resort), Apple and TiVo. 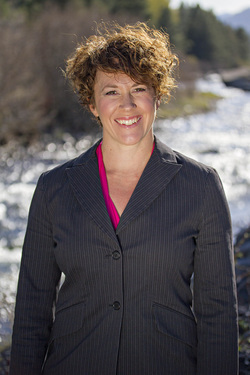 Jess has also been a board member of both the Excellence in Education Foundation and the North Tahoe Business Association and provides pro bono services to Achieve Tahoe (formerly Disabled Sports USA Far West). She graduated from Santa Clara University in 1999 with a B.A. in Communication and has been a resident of North Lake Tahoe since 2006.